DIY-ers, crafts, event decorators, are you looking for your next craft obsession?! Be sure to check out this ultimate guide to creating giant paper flowers, a go-to source book for building beautiful, customized paper flower displays designed for someone just like you. 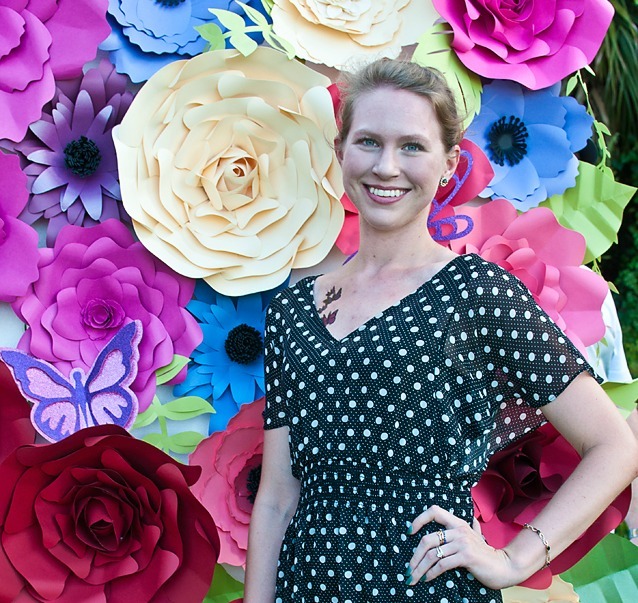 From wedding backdrops, baby or bridal showers, and themed parties to interior home, school and office design, giant paper flowers can add the perfect touch of playful or sophisticated decoration to any setting. Your purchase includes a tastefully designed 220-page FULL COLOR hardback art book with complete step-by-step instructions on how to craft gorgeous giant paper flowers PLUS a full separate template workbook! The Template Workbook, included with your purchase of the Giant Paper Flower Book, consists of 16 flower templates(all rights reserved): 7 original giant rose templates, 9 original giant flower templates, 2 rosette centers, and 3 leaf templates. This book and workbook hold a wealth of information, fun, and beauty so Add to Cart to get started making these fun and pretty paper flowers! We offer secure checkout with any major credit card as well as Paypal. Processing time 2 business days. And thanks for shopping at CC Designs! Interested in the Ebook? Click here! Otherwise, the flower designs are intended for personal event and family event use. Purchasing a license is only required if you intend to sell the flowers for monetary gain. Re-selling the templates themselves in NEVER allowed. And please no selling on Etsy Marketplace. All Catching Colorflies Incorporated flower designs are protected intellectual property, under U.S copyright law. Please do not infringe on my work! Thank you! I love thiese books, I was totally amazed about how it explains step by step to make it easier to understand and be able to make some beautiful flowers. I’m so pleased and I’m enjoying them both. They are beautifully illustrated!!! I love this book! I haven't found any other books of its kind out there. Very pleased. Excellent book with beautiful pictures and good clear instructions. Well worth the price.